It's a sweet time of year at Connecticut strawberry farms. The berries are ripe right now, but the season is short, only three to four weeks at some farms. If you want to pick the ruby red fruit, this is the weekend to do it! Scantic Valley Farm in Somers has more than two acres to pick from or you can buy ready-picked pints. Click here for more information. 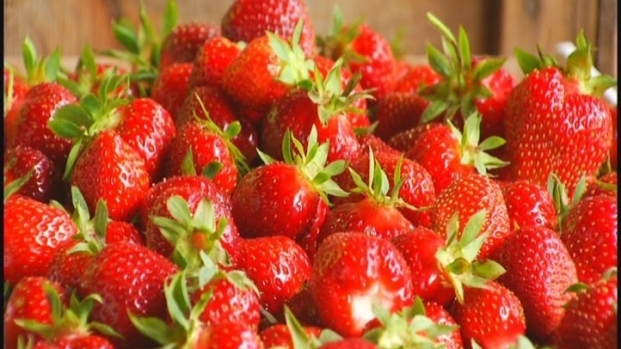 To find another pick your own strawberry farm near you, click here. Lauren Petty gets her hands dirty, and a little red, picking strawberries in Somers.